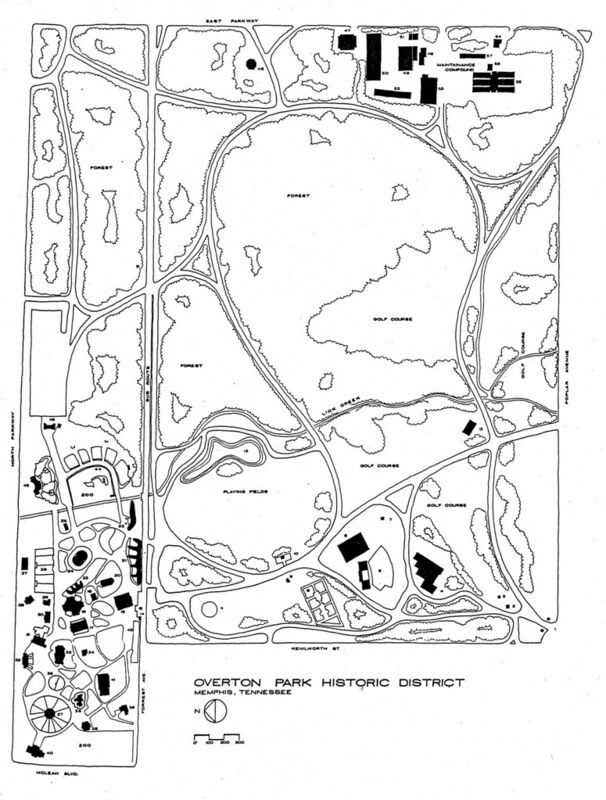 Citizens to Preserve Overton Park: Is the Memphis Zoo just Chickasaw Bluffing? 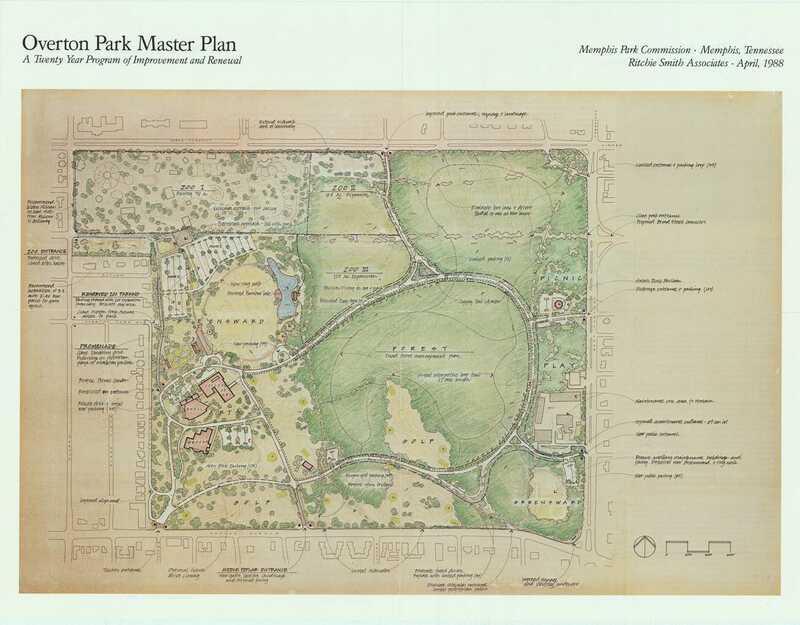 Let's refresh our memories on the Memphis Zoo's official plan for the 17 Acre Wood inside that damn fence. Q. Does Teton Trek involve the Zoo's land near Rainbow Lake? A. Teton Trek only involves the four acres of land east of Northwest Passage. 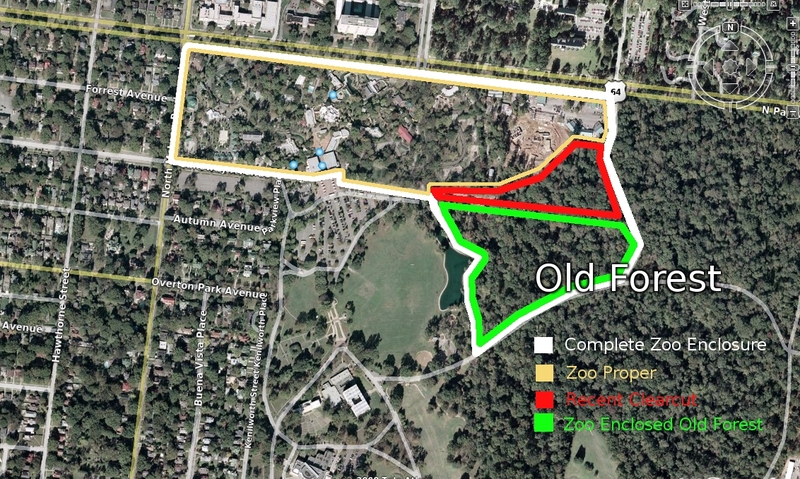 The 17 1/2 acres of Zoo land near Rainbow Lake has never been planned for major development. 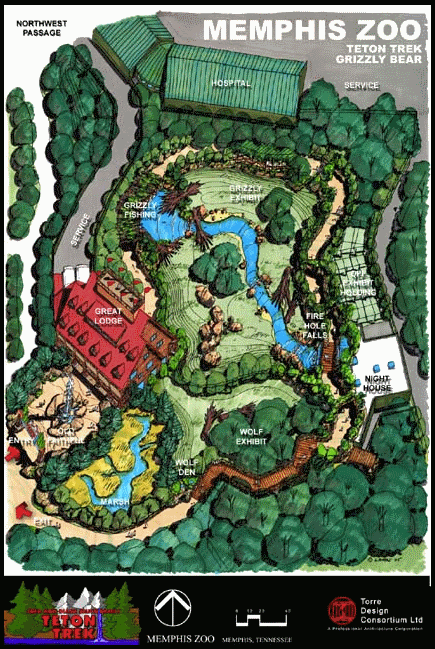 The Zoo's master plan has reserved this area for a minimal impact forest trail exhibit. Stacey explored this question in a regrettably brief conversation with the brave Unknown Soldier whose job includes checking the Memphis Zoo's emailbox every day. This question has also been asked by others (see our media archives in the sidebar) and the upshot is that the leaders of the Memphis Zoo have consistently stated that they don't have any immediate plans for our Enchanted Forest but will most likely use that land for a fantabulous exhibit called "Chickasaw Bluffs" with a lovely nature trail that will introduce poor Joe Schmo and his family to the wonders of the Old Forest, but in any case it's all in the early planning stages and, of course, the Memphis Zoo will start "working soon to create a new 10-year master plan" so it's all under control, nothing to see here, move along please. So, we smelled a rat. Then we thought maybe that smell was coming from a new hippo exhibit. But it turns out that we were dead wrong. And we're big enough to admit it right here, in front of Chuck and everybody. What we actually smelled was a herd of elephants. In the long term, zoo officials hope to build a much larger elephant space near the current site of the Northwest Passage, the zoo's recent expansion project for polar bears and other arctic animals. Mammal curator Matt Thompson says they'd eventually like to add two more elephants. "We didn't give any thought to [closing our exhibit]," according to Matt Thompson, who says the elephants are his favorite animal. "We're very proud of our program. By all accounts, our elephants appear happy and healthy. I wish we had 20 of them. I wish we had 10 acres." The planned elephant exhibit near the Northwest Passage won't come to fruition until around 2012. 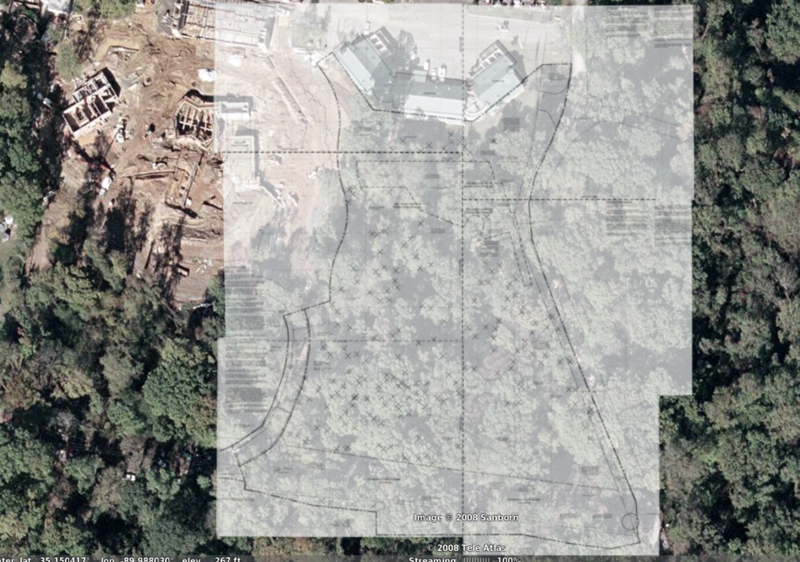 No plans have been drawn up detailing just how much more room the elephants will have in the new exhibit, but it will probably exceed the Association of Zoos and Aquariums' standards: 1,800 square feet of outdoor space for one elephant and 400 square feet of indoor space. To get an idea of the size of the spaces, consider that a football field is 57,600 square feet. Let's do that math. A minimum of 2,200 square feet times four elephants (two current, two future) equals 8,800 square feet or two-tenths of one acre. That seems like a laughably small space for four elephants, doesn't it? That's probably because it is a laughably small space for four elephants. But in this case, we're not just talking about a metaphorical elephant in the room. We're talking about losing more of Overton Park's irreplaceable old growth forest to yet another Memphis Zoo Stealth Clearcut®, aren't we? Y'all thought this was just an April Fool's joke, but maybe it's not so funny after all. Is that a shout out? I know we agreed on 50 cents, but a premium shout out like that is worth at least $1. You people are idiots. I thought long and hard about a nice way to say that, but there isn't one. 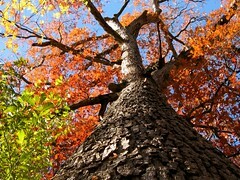 The Memphis Zoo provides a great experience for locals, visitors, young people, old people and so on. If I had a choice of taking my nephews to the zoo and letting them see a tiger up close or letting them loose in the woods to pick up some dead, diseased turtle shell, I'm opting for the Memphis Zoo. 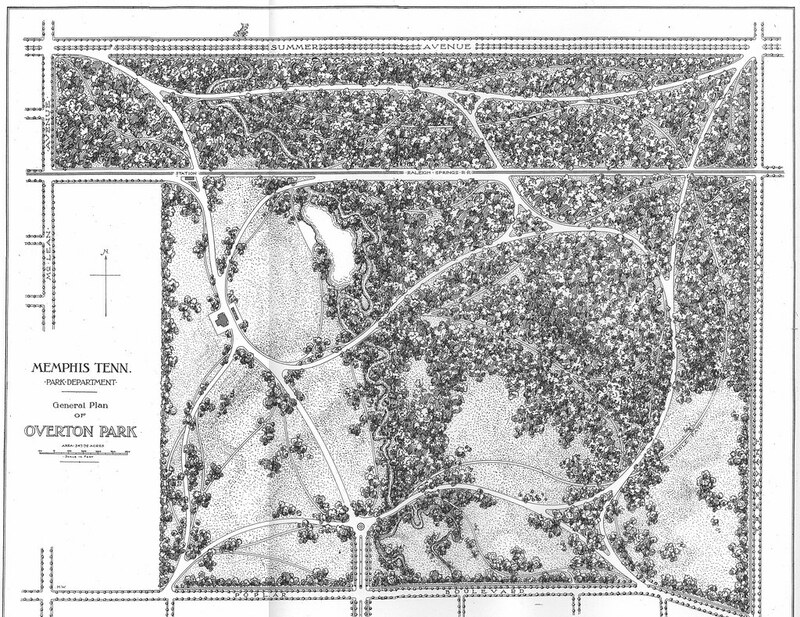 Overton Park is a big part of Memphis history but so is the zoo. And the zoo is part of Overton Park. Why not take this energy and use it to fighting the violence in Memphis City Schools. That seems like a worthy cause. Of course that would involve you thinking logically, so we'll see how that goes. Mr. Anonymous, you're going to waste a googlable commenting opportunity by calling us idiots? Why not point out the flaws in the illogic? Even if it contradicts everything advocated here, it wouldn't be deleted (as this won't) and it might even be respected. But instead you name call and then descend into a Rovian you're with us (embrace stupid acts) or against us (oppose stupid acts). In fact, the Zoo will prosper without fencing 17 acres of ancient forest, and parallel opposition to violence against nature presents no obstacles to peace in either the MCS or MUS. The Zoo deserves better advocacy. If there were more wilderness and unfenced nature in Memphis, then the violence in Memphis City Schools would not be such a problem. But seriously, Anonymous, let me run something by you. Let's suppose you really love tigers. You love them so much, you visit the Memphis Zoo at least twice a week just so you can spend an hour gazing at the tigers and refreshing your spirit. Now let's suppose the Memphis Zoo decides to euthanize the animals in Cat Country and bulldoze the exhibit. They execute this plan without any public input, so you show up one day to visit the tigers and they're gone. Ooooh, wouldn't that make you mad? Then you learn that the Zoo plans to do the same thing to Primate Canyon, CHINA, and Northwest Passage! Are you going to just sit there and watch as these precious public resources are destroyed acre by acre? Luckily for you, nobody is advocating for the destruction of the Memphis Zoo, so you won't have to take any time away from your campaign to stamp out violence in our schools. Keep up the good work. I wonder if your ultimate cause might be served better if you backed off the zoo bashing(and for that matter Park Friends bashing) in general, and hit more on the specific goal you're working toward. Am I correct in saying that CPOP wants the fence removed and assurances that no more section of the old forest will be encroached upon? Some sort of protective easement similar to what Shelby Farms has would need to be established. Do you also want assurances that the zoo will not use any section of the greensward for parking overflow? Do you eventually want some sort of semi-public entity like the RDC, the Shelby Farms Conservancy, or the Zoological Society in place to protect Overton Park? Why not focus on explaining and accomplishing these goals rather than risk alienating a large number of your potential supporters who love the zoo, but want to protect the forest? I loved Stacey's article in the Lamplighter about her children playing in the old forest. It caused me to question why I'd never considered doing the same thing. It seems like this is a good approach to gaining support. As I've probably mentioned here before, I practically grew up within spitting distance of the forest, but was discouraged from spending any time there because of its bad reputation. Why not spend more time showing why that reputation is undeserved today? Collect the stories of people who enjoy the forest with their families. Explain why it is such a great complement to the Zoo and a treasure that people should be coming from miles around to experience (as they do every weekend for the Zoo). I think the approach Memphis Heritage is taking to the Chik-fil-a issue is exemplary in this regard. The approach of taking the restaurant to task on one particular issue seems to be a good one. It may not work, but it seems to be winning friends for Memphis Heritage. Still, it may not work. If you feel your goal can be accomplished with a tight-knit crew prepared to take on the zoo at every opportunity, then go for it. I don't claim to have all the answers on this one. I find it interesting that supporters of the CPOP cause would be critical of name-bashing. This blog has been pretty mean to Brian Carter personally. I understand that Mr. Carter is the Director of Communications for the Zoo and CPOP supporters don't agree with the Zoo's stance, but Brian is actually a really nice guy who is just doing his job. I agree with sticking to the issue, rather than personally bashing anyone. You will get more support that way. jccvi, thank you for your thoughtful suggestions. We've discussed many of those issues. At this point, I think it's just hard for us to view the future optimistically when the Memphis Zoo still refuses to acknowledge that Memphis taxpayers (who supply 34% of the Zoo's yearly funding, according to the Commercial Appeal) have any right to be concerned that four acres of old-growth parkland was obliterated without public notice. Even now, the Zoo's website says they are going to develop a new 10-year plan so we should "check back soon to read details about how the process begins." This is just classic corporate weasel talk, isn't it? Surely the Zoo can marshal a legion of gung-ho supporters (Anonymous, Anonymous #2, etc.) to support expanding into the Old Forest, ad infinitum. So why can't the Zoo's leaders just SAY that our community will play a meaningful part in their future plans? What does it mean that the leaders of the Memphis Zoo are not willing to even pay polite lip service to the taxpayers who supply a third of their yearly budget and, contractually, own every inch of the now and future Zoo? We hope that our postponed and hotly anticipated meeting with the Zoo (this Friday!) will help us sort out the answers to some of these questions. Anonymous #2, are you kidding me?!? I think CPOP's blogging record clearly demonstrates that we adore Brian Carter and want nothing more than to go out for beers and chat about our cute kids, all the crappy bosses we've had to endure, etc., and maybe even go out dancing. Stacey and I were crushed that our buddy didn't show for the Park Friends meeting earlier this month. We even brought a camera in case he felt like posing with his biggest fans! I was always taught "if you can't stand the heat, then stay out of the kitchen." I'm sure Brian Carter is on some level a very nice and neighborly guy, which is probably why he got the position of Director of communications in the first place. But in this position, one has to be able to take all kinds of flack....and one does NOT earn any points or compliments by avoiding a planned meeting with concerned stakeholders. The zoo has for too long had carte blanche with the city, and in the eyes of many Memphians, can do no wrong. And now, thank god, some concerned group is holding them publicly accountable for what many Overton Park lovers see as a grave injustice. It's about time that someone pulls back the curtain, exposing the Wizard (or in this case--Conservationist) for the fraud that he is...meanwhile, Mr. Carter is telling everybody, "Pay no attention to that man behind the curtain." Come on people, Wake Up! What LP said. Also, I don't agree that CPOP has done any "bashing" of Park Friends. Well reasoned criticism isn't the same thing as bashing. Park Friends is a nonprofit that claims to be the "community voice" for our parks. How do they justify their private board meetings and secret negotiations with the Zoo? Their website says they forged an accord with the Zoo to allow parking on the greensward. I'm a member of Park Friends and was never asked if that was okay with me. Park Friends claims to speak for the community, but who in our community is happy about having half of our greensward turned into a parking lot every weekend? I retract what I said about Park Friends bashing, as the part about them having "no concept of the value of the old forest" which doesn't really smack of well reasoned criticism to me, came from a letter to the editor reprinted on the site. As far as I know, the writer doesn't have anything to do with CPOP. I would also calmly suggest again, from the outside, some of the well reasoned criticisms put forth on this site get lost in the tone with which they're presented. if anyone here would like to help out, please email me.